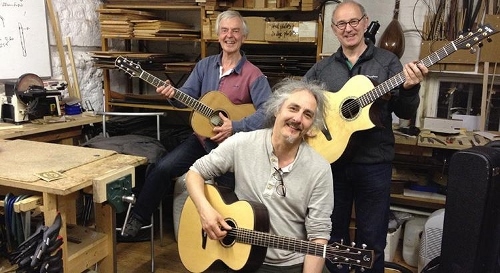 Celebrating 25 years of guitar-making! Nick Benjamin - acoustic guitar-maker. on and the list will shut again if it looks like exceeding this. the people who have used my guitars over that time!! both professional performing musicians and keen amateur players. you to concentrate on the music. to allow selling through dealers and VAT is also avoided. 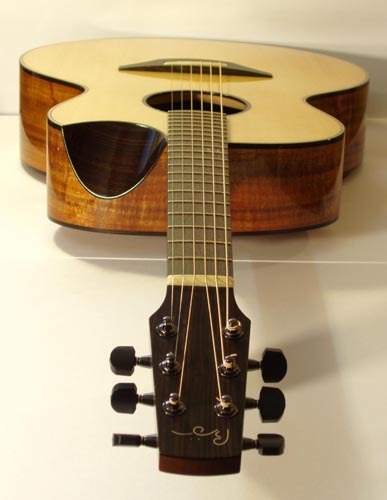 Most guitars are made to order. Here is a Gallery of some of my past work! that his courses are the equal to any in the world. Below; some tired but happy students with their finished guitars!